Composer Joshua Fishbein sets Unseen Secrets, a poem by 7-year-old Quinn Whitlow, with a naive tone but a subtle and clever harmonic architecture. A delicate and soothing piano accompaniment supports a choral texture that depicts the underpinnings of hiding and telling secrets. The poem concludes with a pseudo-moral: “secrets live where man cannot go, in the farthest part of space, and inside a velvet mite,” that Fishbein sets apart musically by allowing the choir to carry the musical weight with small punctuations from the piano. 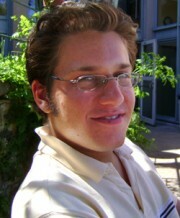 Joshua Fishbein, 25, has composed both vocal and instrumental music. With undergraduate degrees in Psychology and Music Composition, he earned his Master of Music Degree in Composition at the San Francisco Conservatory of Music. Joshua has won multiple composition awards and his works have been performed nationally and internationally. Joshua is also a professional vocalist and was Music Director of the Schola Adventus of San Francisco and Assistant Conductor of the San Francisco Conservatory Chorus. 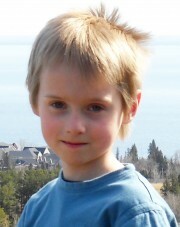 Quinn Whitlow was seven years old when he wrote Unseen Secrets. He continues to write poetry and particularly enjoys Haiku. Some of Quinn’s other interests include hunting insects in his backyard, playing video games, and flying paper airplanes. and on the surface of a star. and the light rays from the sun. in the farthest part of space and inside a velvet mite.